Red Leighton celebrated his 93rd birthday this past week. C.O. Scheffer announced his son made his First Communion this past Sunday. Larry Fick and wife, Paulette, traveled with in-laws to Pella, IA this past week for the three day Tulip Festival. They arrived Thursday in time for the tulip parade, spent all day Friday in the city as locals dressed in costumes to celebrate their Dutch heritage provided food and entertainment to festival goers. Not satisfied they had absorbed enough Dutch culture, the group stayed on through Saturday early afternoon. Sign In or Pay the Pig All the small luncheon crowd was signed in and wearing their badge. Rick mentioned he will spend Saturday melting 400 lbs. of lead and pouring it into casting molds used to as ballast to compensate for weight differences in the Derby races. The lead was donated from the nuclear medicine department at Sedalia Hospital. Also, Rick circulated a sign-up sheet for drivers for the Derby on Sunday, June 10. Four drivers are need for each of four 3-hour shifts beginning at 6:00 am. Joe Machens supplies fully equipped 2018 pickup trucks for this event. Each truck is used to pull a trailer loaded with four Derby cars. Derby racers ride in the air conditioned truck cab back up the hill to the starting gate. 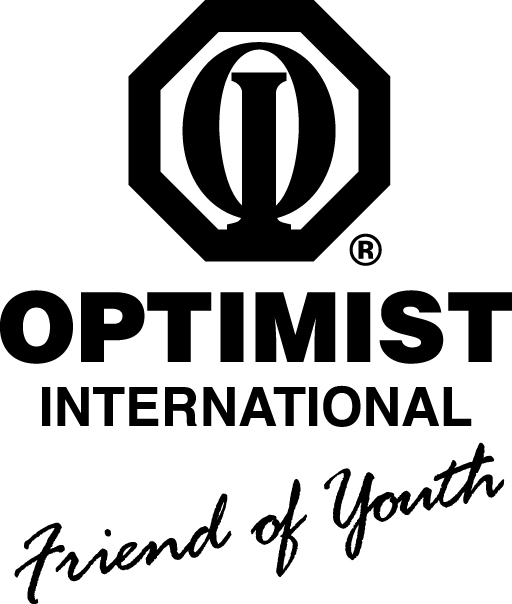 Optimist members are covered by OI Insurance and therefore preferred drivers for risk containment for the Derby. To volunteer contact Rick at 573-881-3471 or sign up at a future luncheon meeting. Mary is still out recuperating from her injury This May 17 event takes place at Lange M.S. from 5:30 to 7:30. Volunteers will be needed so members should keep this date open as help will be needed. If you are looking for something to do where you can measure the results of your labor in just a few months, meet new people from different social circles than your own, and don’t mind getting your hands dirty, the Community Garden Coalition may be a fun way to achieve this. Bill McKelvey was invited to speak by Mary Dewey. She contacted him for help establishing a community garden in the Indian Hills neighborhood. It occurred to her his work would be of interest to our club. When Bill arrived in Columbia some 12 years ago, he was living in a small place will no land for gardening. With a yen to garden he searched and found the Community Gardens Coalition that had been in existence since 1983. It was originally started to satisfy the needs and desires of the then substantial Southeast Asian population of immigrants. Culturally, they were accustomed to gardening and they wanted produce they were accustomed to eating to supplement their own diet. Fast forward to 2018, there are now over 30 community gardens participating in this coalition in Columbia and Boone County. The coalition owns no land and doesn’t visit potential new garden sites. There are no land leases. Garden lands are arranged with a handshake. So there are no guarantees a garden will be in the same plot every year. Some land has been lost to development and new land can open up as churches, developers, the City Public Works, City Parks and Columbia Housing Authority have offered unused land they freely make available to community gardeners. The coalition offers information on starting a community garden and start-up supplies once a group is committed and has land and a plan in place. Start-up materials can include gardening tools, hoses, a garden shed, seeds, a truck load of compost, a metered hydrant for water and, of course, contact information with the 30 some garden leaders. Bill McKelvey describes the whole experience of community gardening as magic. People gain skills and knowledge of gardening. They participate with each other learning about soil conditioning, insect control including garden friendly bugs and pollinators. They meet people from various backgrounds that share the same interest in gardening. At the end of the season they get to enjoy the fruits of their labor. Sometimes they share heart aches when their produce is stolen. The Community Garden Coalition operates on an annual budget of about $10,000. They receive a $5,000 grant each year from the City and raise additional funding from individuals including gardeners and recently through COMO Gives, the City’s not-for-profit fundraising arm for local charitable organizations.